Hibernate Query Language (HQL) is an object-oriented query language, similar to SQL, but instead of operating on tables and columns, HQL works with persistent objects and their properties. HQL queries are translated by Hibernate into conventional SQL queries which in turns perform action on database. Although you can use SQL statements directly with Hibernate using Native SQL but I would recommend to use HQL whenever possible to avoid database portability hassles, and to take advantage of Hibernate's SQL generation and caching strategies. Keywords like SELECT , FROM and WHERE etc. are not case sensitive but properties like table and column names are case sensitive in HQL. List results = query.list();It is notable here that Employee.firstName is a property of Employee object rather than a field of the EMPLOYEE table. Bulk updates are new to HQL with Hibernate 3, and deletes work differently in Hibernate 3 than they did in Hibernate 2. The Query interface now contains a method called executeUpdate() for executing HQL UPDATE or DELETE statements. There are two methods of the Query interface for pagination. Query setFirstResult(int startPosition) This method takes an integer that represents the first row in your result set, starting with row 0. Query setMaxResults(int maxResult) This method tells Hibernate to retrieve a fixed number maxResults of objects. 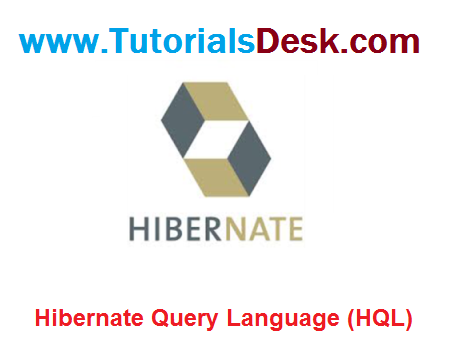 Hope we are able to explain you Hibernate Query Language (HQL), if you have any questions or suggestions please write to us using contact us form. (Second Menu from top left). Please share us on social media if you like the tutorial.